Great read for a Green Belt! 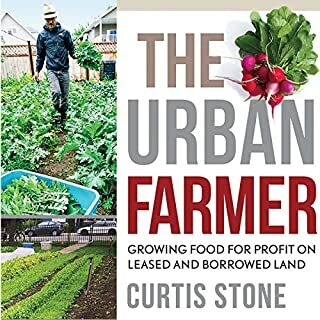 I have experience as a Green Belt in corporate America and am transitioning to market gardening. This book beautifully merges two subjects I love. I enjoyed the fast-paced teaching of concepts and relevant examples. There are 20 million acres of lawns in North America. In their current form, these unproductive expanses of grass represent a significant financial and environmental cost. However, viewed through a different lens, they can also be seen as a tremendous source of opportunity. Access to land is a major barrier for many people who want to enter the agricultural sector, and urban and suburban yards have huge potential for would-be farmers wanting to become part of this growing movement. A dry telling of some great information. 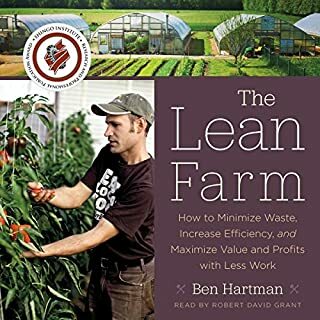 I've been a long time hobby food-gardener and at times farm-hand and I picked up more than a few new gold nuggets of useful information from this book.